Are leaders born, or are they made? While some student-athletes have the characteristics to be a leader, leadership is a learned skill. 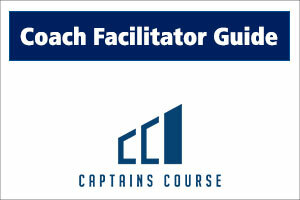 Most captains receive little to no training on how to be a team leader. Coaches throw captains into a leadership role, and then cross their fingers that the student will succeed. With the help of Michigan State University’s Institute for the Study of Youth Sports and the Michigan High School Athletic Association, this course was created to help develop high school team leaders. Student-athletes are prominently featured via on-screen hosts and captain interviews throughout the ten-segment curriculum, while participants learn about leadership skills and reflect on and the important role of the team captain. Why Do We Have High School Sports? What Are the Values of a State Association? What Are the Values of My Teammates? What Are My Values and Mission Statement As a Student-Athlete?